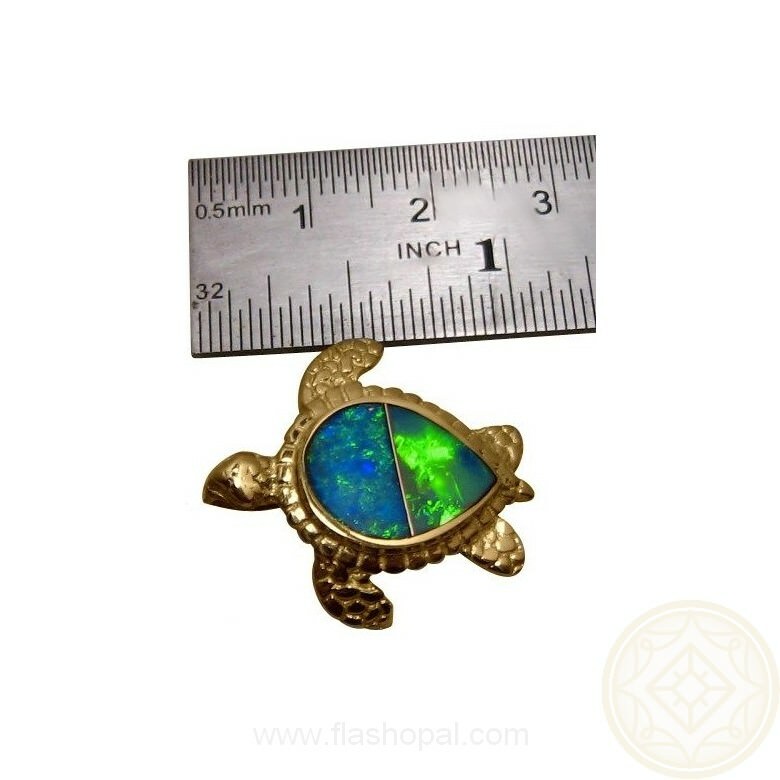 Big Opal Pendant Slide for Ocean Animal Lovers. 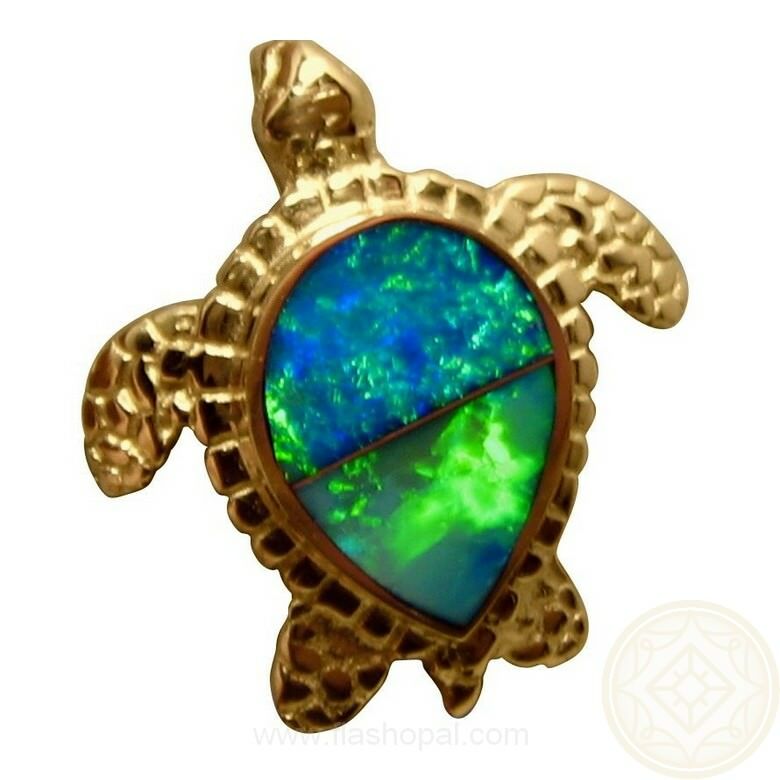 14k Yellow Gold Sea Turtle pendant with two very bright Green and Blue Opals. 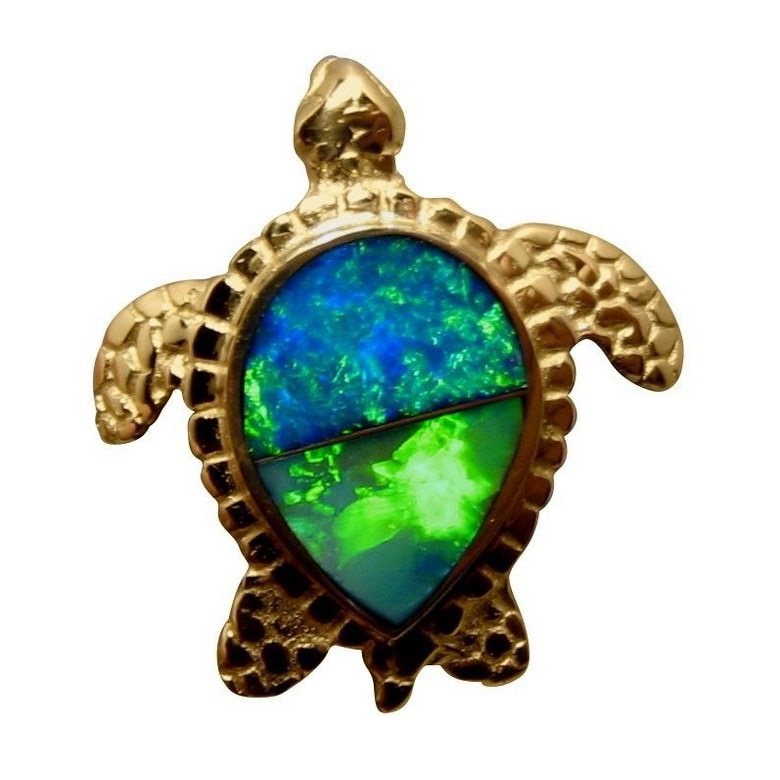 An Opal Pendant made for those who love turtles, animals or the ocean. 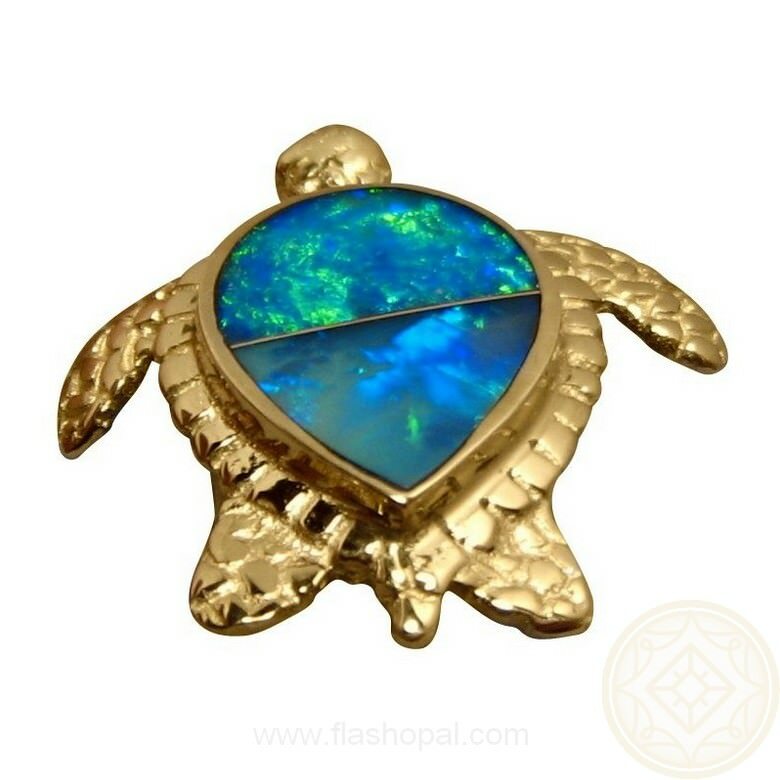 A 14k Yellow Gold Sea Turtle pendant slide weighing 4 grams is inlaid in two sections with natural Lightning Ridge Black Crystal Opals. A thin 14k Yellow Gold bar divides the two pieces. 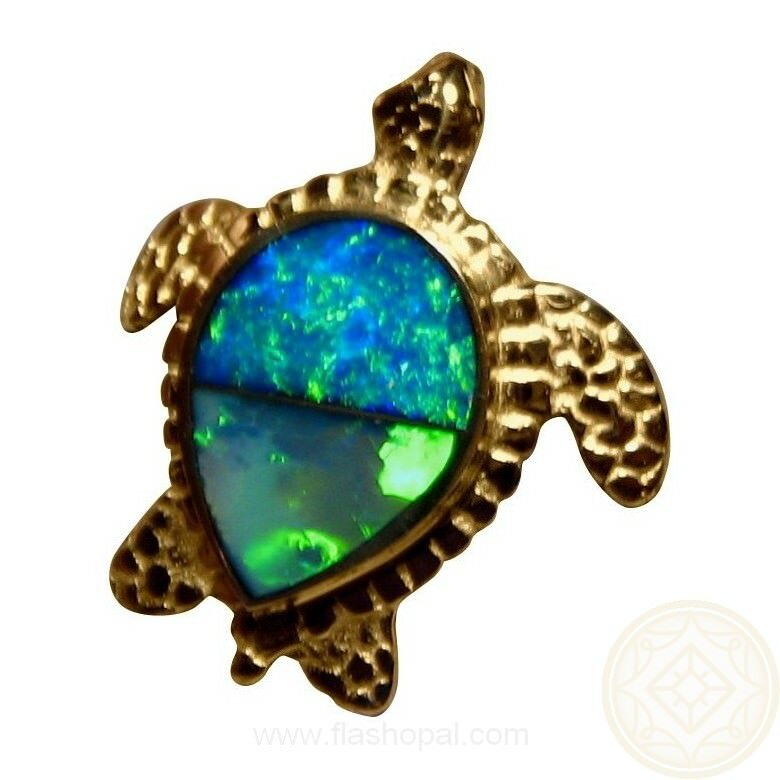 The opals are very bright with the bottom opal showing Lime Green color and the top opal a beautiful Sea Green color. 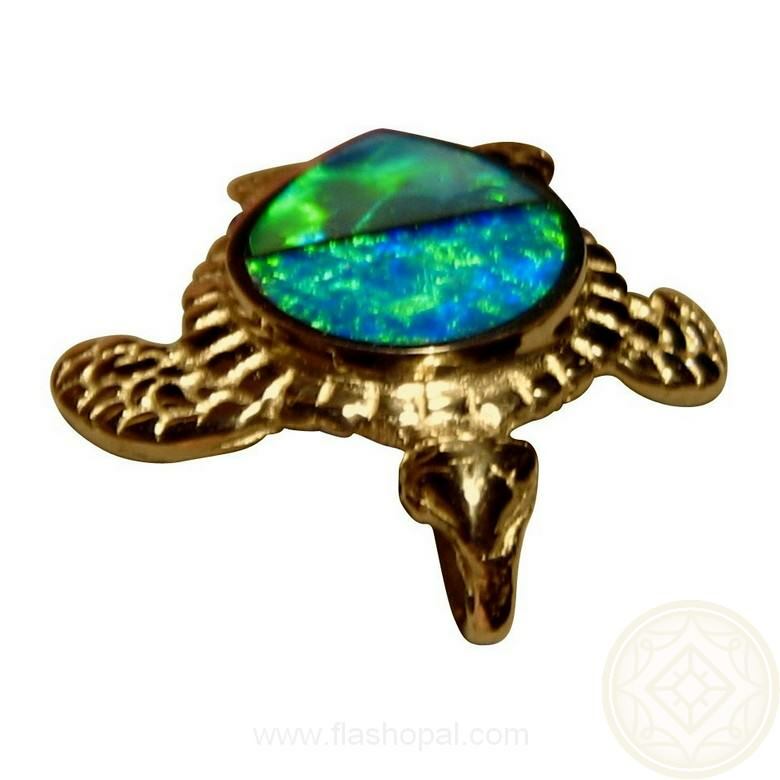 A good size pendant with beautiful Australian Opals and is Made to Order in your Gold color preference.